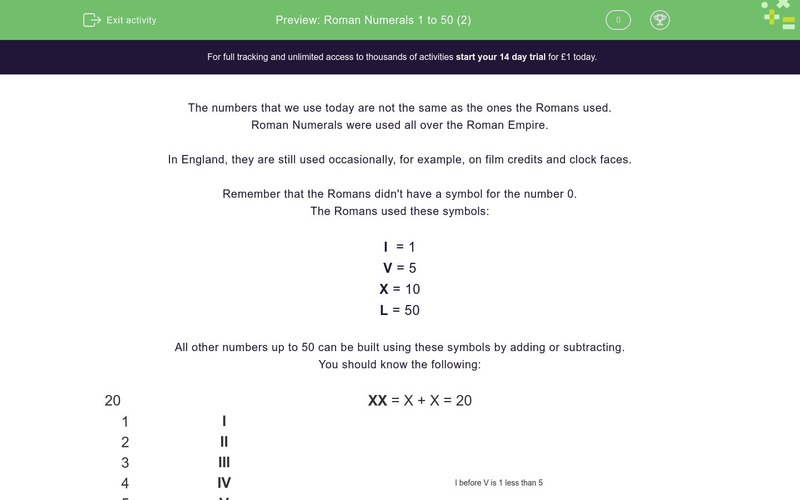 In this worksheet, students must convert normal numbers to Roman Numerals up to 50. All other numbers up to 50 can be built using these symbols by adding or subtracting. Convert the number 46 to Roman Numerals. Write this number using Roman Numerals. Match the Roman Numerals to the numbers.